So you are looking for some lawn care companies in Aurora, Ohio, right? Well, I am so glad you made it to this article, because I have put a list together for you to help you with finding the lawn care company that you may choose to hire. Choosing your partner in home improvement can be a little difficult sometimes, but hopefully this will make it a little bit easier on you. Use this list to help you get a good start, take a look at the brief descriptions, visit the company’s website, get some estimates (free hopefully), figure out the budgeting for your project, and look at the pricing payment information to see how it fits in with the budget. So, take a look at these lawn care services and see what you think. Good luck to you on your yard care endeavors! Landmark Property Service - Landmark Property Service has been serving the Aurora community for over 15 years and is dedicated to any type of customer project that is thrown at them. Providing residential and commercial lawn care, Landmark Property Service also offers free estimates for your lawn care needs. This lawn company offers an array of services that are entirely customizable based on their customers needs, so you can pick and choose your service plan. 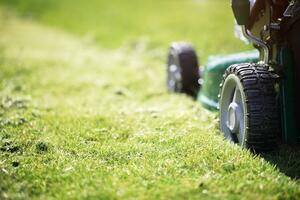 They have lawn services like tree pruning, fertilization, weed control, lawn maintenance, and mulch installation. Some of their other services include plowing and snow removal for during the winter months, lawn installation, walkways, walls and steps, patios, designing outdoor living areas, and irrigation systems. Pop over to their website see some picture of their lawn and landscaping work. Kozsey Services - Kozsey services is one of the lawn care companies in Aurora, Ohio. They have been mowing Aurora lawns since 1985! Kozsey offers a wide variety of lawn maintenance and landscaping care services to Aurora and surrounding communities. The lawn maintenance services offered by this professional lawn care company include weekly lawn mowing and trimming, aeration, fertilization, aeration, weed control, seeding, and dethatching. With their landscaping, they offer tree services including stump removal, gardening, bed maintenance, and more. Kozsey offers free estimates for all of their services, which is a huge bonus. Feel free to visit their website and take a closer look at what services they have to offer. Maintenance Ace - Maintenance Ace, serving Aurora and surrounding communities, is a family owned company that was founded in 2004. The owner worked in landscaping and construction for 19 years before starting Maintenance Ace. With that many years of experienceyou can bet they know their landscaping! They offer seasonal services like snow plowing, sidewalk cleaning, dicing and removal. Some of the lawn care services they provide are weekly lawn service, new installation, finish grading, tree & shrub trimming, fertilizing, spring and fall clean up, lawn rolling, aeration, and thatching. Along with their lawn maintenance services, they have all of their landscaping services as well. Check out their website to get some more info on their services and see what Maintenance Ace has to offer for your lawn care needs. Diggin Landscaping - Diggin Landscaping is a professional lawn care company also located in Aurora, Ohio. They have been “diggin” around the community since 1992. This company has many landscaping services, but they also offer lawn maintenance services to their clients too. Their Aurora lawn care services include lawn mowing, fertilization, grading, new installations, hydro-seeding, and seasonal clean ups. If you are wanting to transform your outdoor living space, Diggin Landscaping can install a garden pond, pavers, and design the entire thing. You can look through some photos online on their website of some of their completed projects, and parooz through some more of their services. They also offer free estimates for their services, score! Advanced Quality Lawn - Advanced Quality Lawn is a locally owned and operated for more than 30 years. They have the experience to help create and maintain wonderful landscapes. They compete with the lawn care companies in Aurora, located just outside of town in Hudson, Ohio. They offer service packages for lawn care, the services include fertilization, weed control, pest control, other lawn treatments. Additional services includetree and shrub care, as well as perimeter spraying of your house for pest prevention. They guarantee their work, so if there is any issues they will book an extra lawn care appointment free of charge. Take a look at their webpage and see if any of Advanced Quality Lawn service packages will work for your lawn care needs. Weed Pro Lawn Care - Weed Pro Lawn Care is one of the best lawn care companies in Aurora, Ohio and surrounding communities. Based in Sheffield Village, they have branches serving the Greater Cleveland area, Columbus, and now Cincinnati with high quality lawn care services. Our lawn care technicians are certified and licensed, with continuing education to make sure to they have the best knowledge to treat your lawn right. Professional treatments and services include lawn aeration, weed control, seeding, pest and insect control, tree and shrub maintenance, fertilization, and more. Weed Pro comes highly recommended with an A+ rating from the Better Business Bureau and thousands of satisfied customers across Ohio. We offer free lawn care estimates and unparalleled customer service. Estimated prices are based on the square feet of your lawn, so you know Weed Pro is reasonably priced. A local company providing quality professional service for nearly two decades, we know and love our Cleveland lawns. Our customer service team will always be there to help you with any questions or concerns, call customer service for anything and we will resolve the problem as soon as we possibly can. Weed Pro serves not only residential lawn, but also commercial lawns and sports fields as well. Hire the right pro with Weed Pro! Check out the Weed Pro website to see what else we have to offer you.